Podcasts have enjoyed a bit of a renaissance recently. I remember when all we had was Serial. Now everyone and their dog has a podcast. And it’s 50/50 whether said podcast is actually dedicated to said dog. Most of the time, it’s lessons about how giving before you take is good practice in business. Or how to use mental anchors to hold onto a positive mindset when everything’s going haywire. Or just small actionable steps to regain a bit of control over the planning of your day. Recruitment and entrepreneurism are closely linked. And the lessons you can learn from the latter translate pretty well into the former. So here are the 6 of the top podcasts for your rise n grind. We’ve written about Tim Ferriss recently in an article on How To Overcome Fear. Tim’s a self-confessed “human guinea pig”. And among many other things, the author of the modern entrepreneur’s bible: The 4-Hour Work Week. His podcast, a long form interview show featuring an eclectic roster of names from the business and celebrity worlds, has been ridiculously successful. 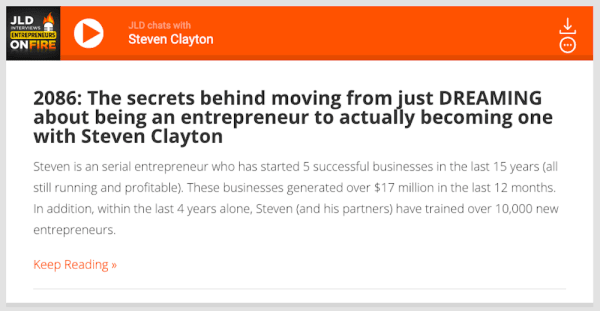 He’s hit over 300 million downloads on episodes including insight from Arnie, LeBron and Arianna Huffington. As chance would have it, the most recent episode tackles overcoming fear. Particularly with regards to public speaking. Which will come in handy if you’re not 100% on pitching in front of a panel, giving a talk or leading a stand-up meeting. Listen to the episode with bestselling author Susan Cain to find out why they call Tim the ‘Oprah of Audio’. Tony Robbins is a big time motivational speaker. He’s a prolific philanthropist. A best selling author. And the chairman of a holding company that earns about $6B a year. He literally walks on fire at his seminars. Which are essentially life-coaching workshops conducted en masse. His podcast contains interviews with millionaires and celebrities, as well as audio recordings from speaking events. A recent episode claims to “beat work-related stress – forever”. Which starts with the belief that investing in negative thoughts is what holds you back. In this line of work, self-sabotage will scupper your billings. Don’t let it. Take advice from the guy that dishes it out to Serena Williams, Aerosmith and Usher. 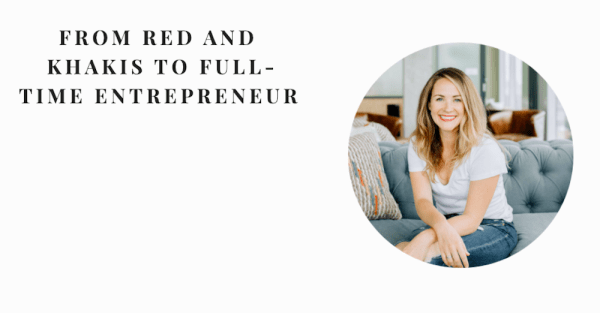 Amanda Boleyn turned a hobby into a full time business after years working in corporate environments. One of the best things about SDIHW is Amanda’s not Tony Robbins. So she’s not necessarily always tackling life-changing topics. Although things that you and I would encounter on a daily basis are fair game. In fact, a lot of episodes are more about being empowered to excel in ordinary circumstances. Particularly useful if you’re thinking of finally making that side-hustle of yours work. 1. What does a compelling future look like to you? 3. How are you going to reinforce discipline on yourself? These, I would imagine, are questions your Team Leader’s asked you at least once. Click here to get the answers. Andrew Warner runs Mixergy. He and his brother Michael started a greeting card company that brought in over a million in revenue each month. It carried on growing before Andrew burned out, took a breather, ran speaking events and eventually launched the podcast . Wikipedia Founder Jimmy Wales has been on the show to talk through how the site was built and promoted. And JibJab’s Co-founder Gregg Spiridellis has been on to talk about how he and his brother Evan built their company. There’s a huge amount of content to get through from a diverse range of interview guests. 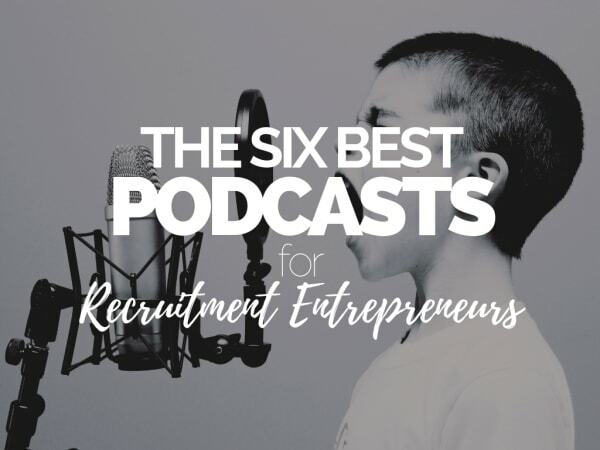 Some of which might be more interesting to your life outside of recruitment – again, particularly where side-hustles are concerned – but every episode is essentially about examining tried and tested methods for growing a business. In this episode, found out what Seth Godin wants you to know about marketing. Lessons that will benefit any recruiter in 2019. A unique podcast in that it’s cranking out content daily. John Lee Dumas started interviewing successful figures in business in a bid to (pardon the pun) fire up ambitious entrepreneurs. He’s a former Army Officer and law school dropout that runs the site with his wife Kate, who left a job in advertising to commit to EOF full time. The fact that the podcast’s a daily show is remarkable. And it means that there’s no shortage of content. From turning networking into a huge competitive advantage to episodes on self-mastery, optimised happiness and reaching your goals. There’ll be something here for everyone. And if nothing tickles your fancy, you can always check back tomorrow. 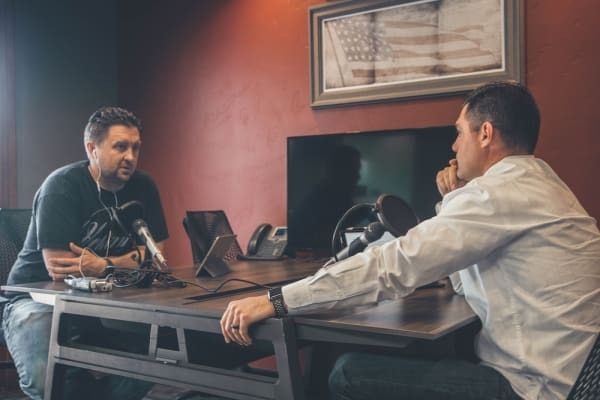 Here’s an episode from a few weeks back that I feel would be of interest to the Recruitment industry in general: How to Stand Out In a Crowded Market and Build a Business with SOUL. Lewis Howe is an athlete, lifestyle-entrepreneur and best-selling author. I’m always wary of people who knowingly title their own podcast in the manner Lewis has. Then I read up on the bloke. Turns out the formative years of his life were not a good time. A very real rags to riches story. And actually, set against the wider context of his life, the title’s probably quite aspirational and well-meaning. The podcast isn’t as technical or in-depth as some of the others on this list. Instead favouring easily accessible topics, Howe’s had people like Derren Brown, Leann Rimes and Alicia Silverstone on the show discussing their habits and mindsets. And to highlight how entrepreneurial circles thrive with collaboration, Tony Robbins (number two on this list) appears on the podcast to discuss financial success and happiness. Arguably the two greatest motivators in recruitment. One thing you’ll notice about all of these entries – whether the hosts are multi-millionaires or not – is that they all write. That’s because entrepreneurs know ideas are infectious and one of the best ways to articulate them is to quite literally spell them out for people. And if they aren’t writing, they’re speaking. Hence all the public seminars. And the podcasts. If you’re ready to launch your own, please make it good. Listen to the shows on this list. And if it’s not working for you, you can still brush up on your writing and speaking in a jiffy. For tech hacks to improve your written copy, click here. And for a masterclass in commanding your voice, click here.